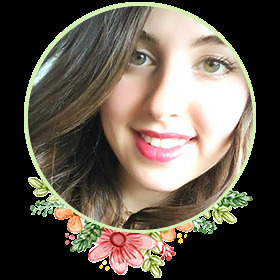 A girl's quest to live on the greener side. Did you know only 10-20% of a plastic bottle can actually be recycled successfully? Even that portion is often downgraded into another lower form of single-use plastic (not exactly zero waste, if you ask me). Due to this downgrading process, all recycling does is delay the inevitable: Plastic's trip to the landfill. There, it will last hundreds or thousands of years. The plastic that does avoid going to the landfill will probably just end up polluting our oceans and waterways (and possibly even end up in your food - no joke!). Suffice it to say, recycling is a good place to start, but a bad place to stop. That's why I'm excited to talk about Plaine Products with you: They're an eco-friendly brand that packages their all-natural shampoo and conditioner in refillable aluminum bottles. That's right: Aluminum bottles (not plastic ones!). This is a pretty big deal, considering aluminum bottles can be recycled over and over again without any quality loss. In fact, recycling aluminum requires less energy than was needed to make the bottles in the first place. 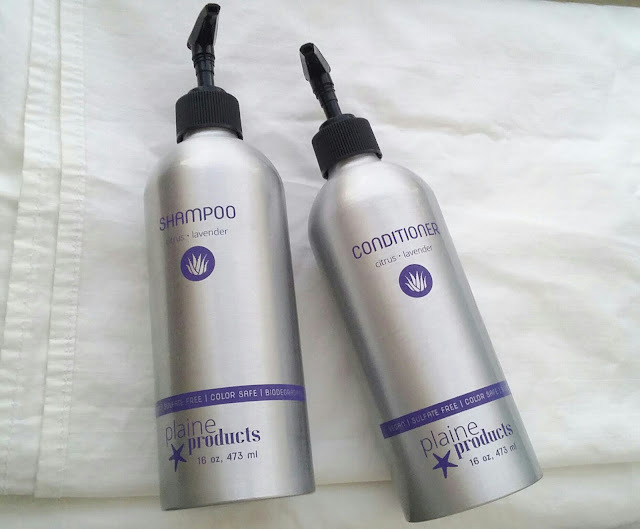 Plaine Products also make other products as well (body wash, hand wash, and body lotion), and all of them are natural, vegan, cruelty-free and refillable! I was lucky enough to try out their shampoo and conditioner and I've been using it for a full month. Want to see what I thought? Here's my review. Disclaimer: Plaine Products sent me the products in this post for an honest review in return. Besides the free products, I am not being paid to write this review. There are no affiliate links in this post. Plaine Products is a brand that believes you should nourish your hair and body with all-natural, refillable products. They offer several products such as shampoo, conditioner, body wash, hand wash, and body lotion. Their ingredients are all-natural, organic, and vegan, but the most striking thing about this brand is their packaging. All their products are enclosed in aluminum bottles that can be sent back to the company in exchange for a refill! Essentially, this is how it works: Lets say you would like to try out their shampoo. On their shop page, you can "jump to simple products" and purchase a one-time-only product. Chances are though, you'll absolutely wind up loving whatever you buy and want more (which is where the subscription process comes in handy). To get a subscription of your favorite item (or several of your favorite items), you'd just go to their subscription products. You can get a subscription to one item only (ex: Just the shampoo), or a set of items (ex: Shampoo and conditioner, shampoo and body wash, etc.). There's even two three-pack subscriptions and one four-pack subscription available. It all depends on what you're looking for, and which products you simply cannot live without. To make a subscription, you'd simply click on the item you want and then choose if you'd like a pump with your purchase, which scent you want, your subscription frequency, and if you need a return label. If it's your first time purchasing, you will not need a return label so you'd click "no, I do not have empty bottles." Also, don't get nervous over the subscription process: There is no membership fee, and you can cancel your subscription any time, or change your shipment frequency whenever you want. My advice? If you go through a lot of shampoo, choose to get it delivered once every two months. This will ensure you always have a steady amount of shampoo coming in. Plaine Products also offers travel-sized products that are easily reusable and make great samples. All of their products come in easy to reuse (and recycle) aluminum containers that are so much kinder to the environment. To learn more about their refill system, be sure to check out their "how it works" page. Why you want it: This zero waste shampoo and conditioner not only gives you beautiful, super soft hair, but it's also refillable! Its value: $55 (This is for a reoccurring subscription to both the shampoo and conditioner. On their own, purchased one-time-only, the shampoo and conditioner each cost $30. You can also purchase them together for a one-time purchase of $55 if you'd like to try both of them out without subscribing). My review: So, the first thing that caught my eye about this shampoo and conditioner was its packaging. Seeing it online and actually holding it in my hands are two completely different things. Both products are packaged in a very impressive 16 oz aluminum bottle, and each one comes with a pump (if you so desire you can get it without the pump too). The ingredients are also listed right on the back of the bottle, and all of them are natural, vegan, and cruelty-free. The very first ingredient is aloe, so that's encouraging (I list all the ingredients below if you want the details). The first thing I did when I got it was unscrewed the cap and took a whiff. I got it in the scent "citrus lavender" and it smells absolutely heavenly. It's pleasant, but not overbearing. It's the sort of scent that stays in your hair faintly, so it's not obnoxious at all. Next, I replaced the caps with the pumps and put it in my shower. When I was ready to try it out, I used 4 pumps of each product on my hair. First, I massaged the 4 pumps of shampoo into my scalp. It was easy to lather and I made sure it got all sudsy. I let it sit in my hair for at least 2 minutes before rinsing it out (this helps ensure a more thorough cleanse). After that I used 4 pumps of the conditioner and coated it on the ends of my hair, up to my shoulders. I never use conditioner on the top of my head (that will just make my roots all greasy). I let it sit in my hair for about 2 to 3 minutes so it gave my hair extra hydration before washing it out. Then, I brushed and blow dried my hair: That's where the magic happens. After blowing out my hair, my locks become super soft, easy to manage, and full of life. It's hard to believe that just one month ago my hair never looked like this: After a shower, it would still manage to look greasy and unwashed (I wasn't using the best products on it, that's for sure). Now though, my hair looks and feels its absolute best: It's never been this healthy. I'm thoroughly convinced Plaine Products don't just wash and cleanse my hair, but nourish and treat it too. You know how some shampoo and conditioner give you amazing results after the first two washes, then fall flat? Plaine Products never fall flat: Their shampoo and conditioner make my hair absolutely amazing, every time. Thanks to these products, my hair is frizz-free and always looks so sleek and shiny. 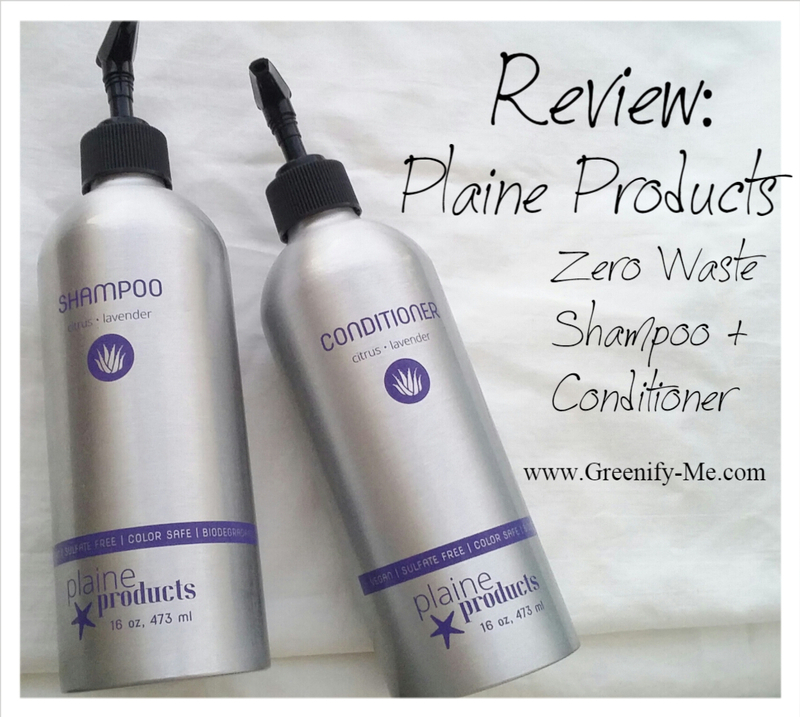 I cannot tell you how many people have complimented my hair because of Plaine Products. All my friends and family love playing with my hair and telling me how gorgeous it looks. The best part is, day-after hair is just as amazing. Usually, my hair looks like crap the next day after a shower: Not with this shampoo and conditioner. I can rock day-after hair and only need to brush it once or twice through-out the day. It's such a great feeling, and believe me when I say, I don't want to give it up. It's just good to know this shampoo and conditioner hold up so well. Suffice it to say I highly recommend these products and will continue to use them! I still have so much left and when I finish, I will definitely return the empty bottles and get a refill! It feels so good to know I've found the perfect shampoo and conditioner for my hair and that I'm helping the environment. Shampoo: Organic Aloe Barbadensis Leaf Juice, Vegetable Glycerin, Saponified Oils of Coconut and Safflower Seed, Guar Gum and Irish Moss (Red Algae Extract – Carrageen). Organic Camellia, Sunflower and Ricebran Oils. Extracts of Chamomile and Quillaja Saponaria. Papaya and Pineapple Pulp Extracts. Rosemary Oleoresin, Vitamin E Complex, Organic Green Tea, Geogard Ultra and Potassium Sorbate. 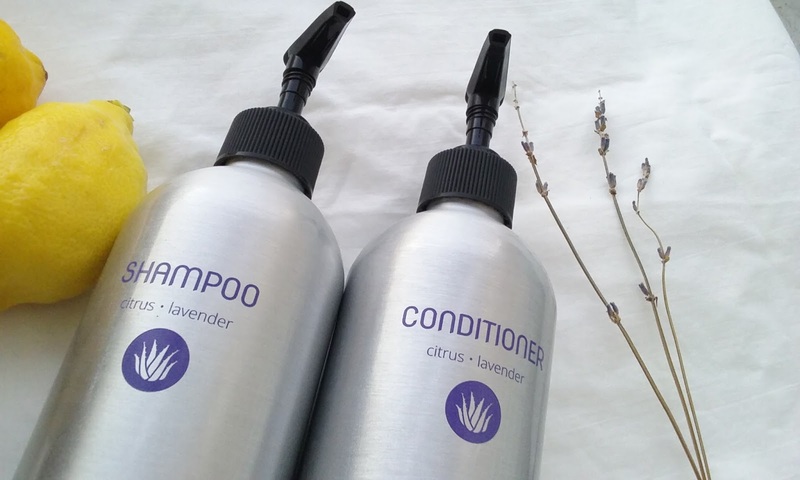 Conditioner: Organic Aloe Barbadensis Leaf Juice, Vegetable Emulsifiers and Glycerin, Alpha Hydroxy Acids from Sugarcane and Fruit Extracts of Bilberry and Olive. Shea and Mango Butters, Guar Gum, Irish Moss (Red Algae Extract – Carrageen), Organic Camellia, Sunflower and Jojoba Seed Oils. Papaya and Pineapple Pulp Extracts, Rosemary Oleoresin, Vitamin E Complex, Organic Green Tea, Geogard Ultra and Potassium Sorbate. 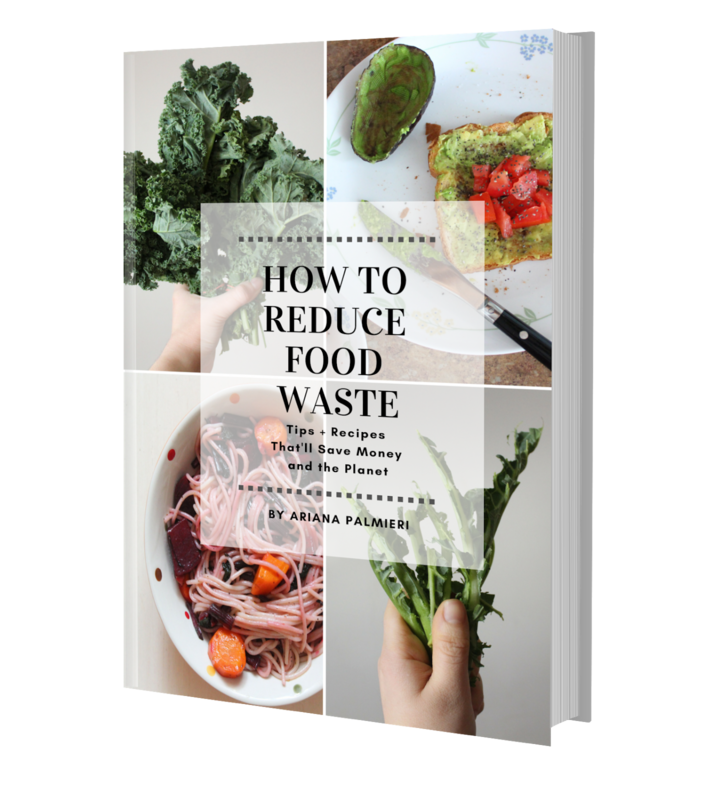 Ariana Palmieri is a zero waste blogger dedicated to sustainable living, all-natural products, and improving the environment in Staten Island, New York. 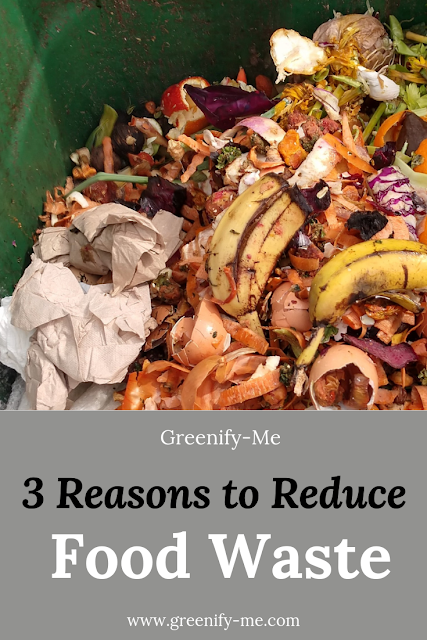 In July 2015 she started her blog, Greenify-Me, and in 2017 she joined the zero waste community.